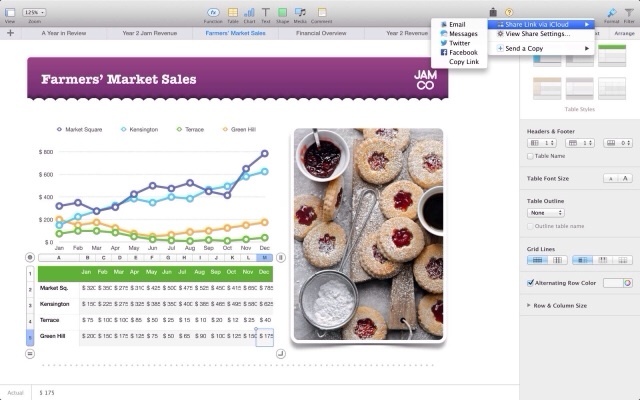 Apple has updated Numbers for Mac to save window size and placement and customize the toolbar. 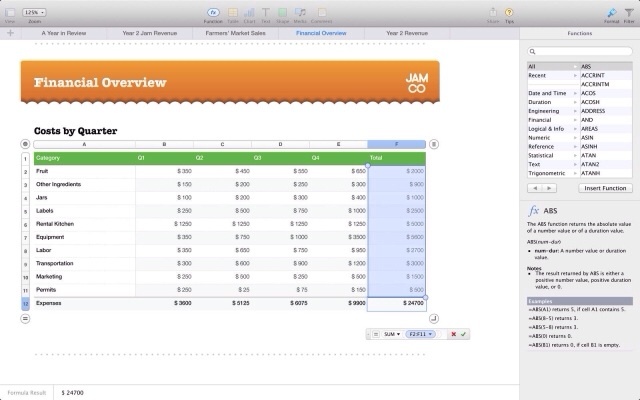 Create gorgeous spreadsheets with the all-new Numbers for Mac. Get started with one of many Apple-designed templates for your home budget, checklist, invoice, mortgage calculator, and more. Add tables, charts, text, and images anywhere on the free-form canvas. As soon as you start typing a formula, you'll get instant suggestions and built-in help for the over 250 powerful functions. Animate your data with new interactive column, bar, scatter, and bubble charts. Easily filter through large tables. Automatically format cells based on numbers, text, dates, and durations with new conditional highlighting. And with an all-new calculation engine, Numbers is faster than ever before. 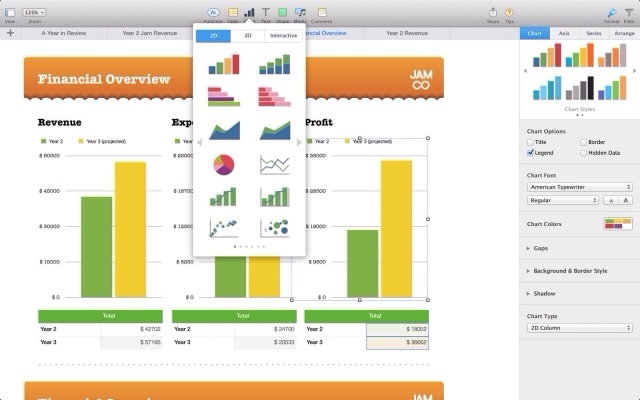 With iCloud, your spreadsheets are kept up to date across all your devices. You can instantly share a spreadsheet using just a link, giving others the latest version and the ability to edit it directly with Numbers for iCloud beta from www.icloud.com using a Mac or PC browser. And with a new unified file format across Mac, iOS, and web, your spreadsheets are consistently beautiful everywhere you open them. You can purchase Numbers from the App Store for $19.99.